There are different types of oil diffusers on the market. And in some cases, it comes to your preference. That is why we will explore all the benefits, advantages, and disadvantages of different best essential oil diffuser options. Diffusers are a nice alternative to scented candles. They will make your place smell nicer, and because they cannot catch fire, diffusers are safer option. You can leave it in one room while you are in another, or leave them on while you are sleeping. Candles, on the other hand, can accidentally light up something. And they come only in one scent. Diffusers, on the other hand, can change the scent by choosing a different essential oil. With that in mind, what is the best essential oils diffuser? 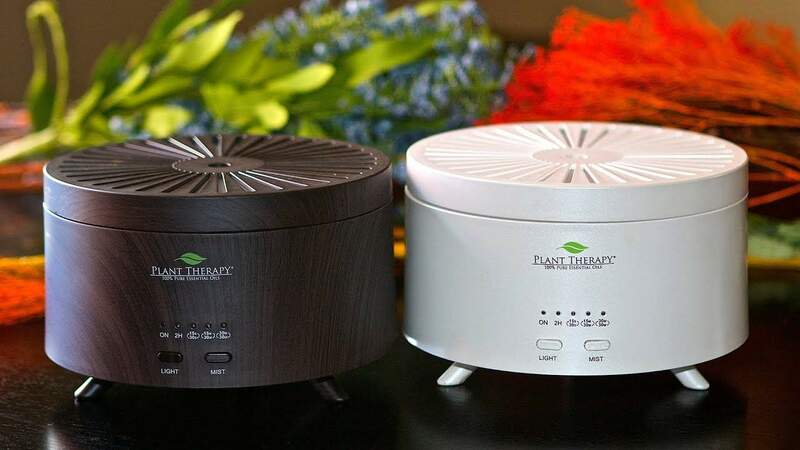 Before we look at the best essential oils diffuser, let’s talk a bit about the difference between a humidifier and diffuser. 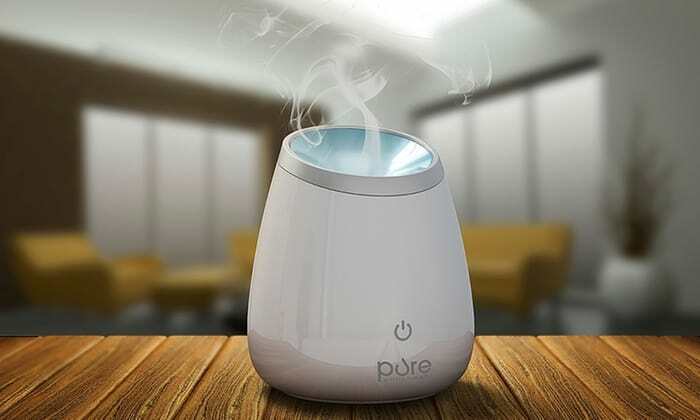 Now, a diffuser will add a small amount of humidity into the air, but it functions different when compared to a humidifier. The primary function of the humidifier is to add humidity into the air. To perform that function, the device utilizes a relatively large tank of water which is heated and released into the air. The best essential oils diffuser has a smaller tank of water, usually between 100ml and 300ml. Therefore, the humidifying effects are minimal compared to a humidifier. On the other side, the diffuser is much better at spreading the essential oils into the air. The humidifier will not provide that level of refreshment in the air. Now, if you like aromatherapy benefits and humidity, use both devices in the same time. We talked about how a diffuser fares against a humidifier. But let’s also compare the more common alternative people use, and that is scented candles. Some people will tell you that essential oils are out of their price range. The biggest misconception is that essential oils are an expensive options, more expensive than a day at the spa. But let’s compare them to scented candles. Usually, scented candles range between $20 and $25 on Amazon. Their longevity is between 100 and 150 hours. Take the high end, and you get something in the range of 15-20 cents per hour. For essential oils, the math is a bit different. There are 20 drops in a milliliter of an essential oil, and 29.5ml in an ounce. That means there are 591 drops per ounce. A four ounce bottle is between $10 and $15, depending on the essential oil you choose. In one blend, or one usage of a diffuser, you need between 6 and 10 drops. One tank can last up to 7 hours, and that means cost per hour is $0.0081 cents. That is a lot cheaper than what scented candles deliver. There are so many benefits of essential oils. We can talk about the essential oils uses all day, and they vary depending on the oil you use. With that in mind, let’s talk about some simple benefits your home gets from buying an essential oils diffuser. The primary function and use of essential oils is for aromatherapy. 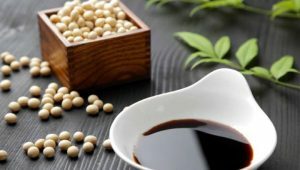 They can provide relaxation, pain relief, and even be used as decongestants. Depending on which oil you diffuse into the air, you gain different benefits. And that is without the need of applying the oils on your skin. If you have ever been to a spa, you’ve noticed the distinctive smell. And there is a reason for that smell. It all comes down to essential oils. For centuries, essential oils like tea tree oil have been used to create calm and safe space. Many essential oils work great as a mosquito repellant. But also against other insects as well. I do not think anyone here wants insects in his/hers home, right? Well, for that purpose, get some thyme, juniper, and rose for ticks, peppermint for mosquitos, and cedarwood and eucalyptus for fleas. We talked about aromatherapy, but let’s focus primary on sleeping and relaxation. Essential oils have the ability to help you unwind at the end of the day. There are other methods for relaxation, and you can always massage oils onto our skin, the diffuser is the easiest and longest-lasting method for creating that calm and relaxing ambience. Keep one diffuser at the office to help you relax during the day, and one at home. Push the button when you get home, and you can relax after a hard day at work. Lavender, clary sage, and chamomile work best for sleep and relaxation. Some essential oils uses include creating relaxing atmosphere, others help with boosting your energy levels and improving your mood. And it is not for only you feel sad or depressed. You can use the best essential oils diffuser for inspiring high spirits during the holidays or creating a positive atmosphere for social gatherings. And of course, to help you get moving in the morning. For this purpose, use scotch pine, rose, jasmine, rosemary, lavender, sweet orange, vanilla, or sandalwood essential oils. There are essential oils like lemon, thyme, and grapefruit that can help you prevent cold, flu, and similar common illnesses. Essential oils have antimicrobial and antibacterial properties. And when they come in contact with airborne pathogens, they prevent them from invading your body. Even more, essential oils help you boost your immune system. And because they also add humidity to the room, they keep your airways moist and healthy. For pain relief, it is usually best to apply essential oils topically. However, using a diffuser will extend that effect. With the best essential oils diffuser, you can combat persistent pain such as headaches, overworked muscles, and sore joints. Arm yourself with ginger, lavender, clary sage, rosemary, bergamot, and chamomile essential oils for this purpose. 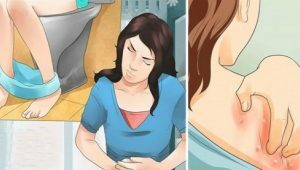 During the winter months, and every other time of the year, some of the essential oil uses include reducing inflammation and congestion in clogged airways. It will help you breathe more easily. And if you are prone to allergies, diffusing essential oils in the room is the best way to prevent symptoms. Keep a box of tissues close as your nose and sinuses will open. Peppermint, eucalyptus, lemon, and rosemary work best for allergies and inflammation. In the summer, temperatures can go sky high. And in some cases, it can become unbearably hot. Your first instinct is to turn on the AC. But keeping the AC on through the entire day and night is a recipe for high electric bills. Another option is to diffuse cooling minty essential oils in the room. Try oils like spearmint, wintergreen, peppermint, and eucalyptus. There is a reason why big offices keep an essential oil diffuser in the room. It helps with “charging the brain”. In other words, essential oils will help you concentrate, focus, and improve your thinking ability. As a bonus, they help with stress, so you can work calmly and be focused during the office hours. If you are looking for a quality essential oil to do this, go for lemon, pine, or peppermint. There is not one best essential oils diffuser. In many cases, the final decision is based on preferences. Sometimes even a simple thing like color might be the deal breaker. Therefore we look at five of the best diffusers, and let you choose the one for you. This is the latest option in the Plant Therapy’s line of essential oil accessories. The company wanted a beautiful diffuser with all the features customers want. Available in white and wood-grain brown, the device is made of high-quality materials. The diffuser comes with one year warranty. Some of the features include LED light, and five different timer settings. The timer can be set for 15 minutes on, 30 minutes off, and so on. The capacity is 300ml, giving you up to 10 hours of continuous usage. What you will like is that the diffuser runs very quietly, and has a wide, easy-to-fill top. The indicator is easy to see, meaning you can easily check when you need to top it off. 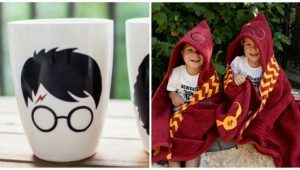 Overall, the product is simple and easy to use. It doesn’t take a genius to figure it out. With clear instructions, there is little room for error. Very stylish diffuse that can run up to five hours. The downside is the small tank of just 70ml. But it is a natural top pick. It can cover an area of up to 250 square feet and comes in black and white colors. The features include auto-shutoff, timer, and controls that are brilliant and simple. You have one large button that turns the device on, turns it off, and cycles through the three different light modes. Sleek and modern, it is a great addition to any contemporary living space. It is definitely a diffuser you can put in a visible location. Because of the automatic shutoff, the device is safe to run while sleeping. The biggest downside is it has only one mist setting. The short run time and small tank are not efficient for all-day use. The diffuser has a beautiful natural look. Made of frosted glass and beechwood, the design is ideal for smaller rooms. It is small, making it great for your travel arrangements. The style is what puts the diffuser on the best essential oils diffuser options list. The diffuser can hold up to 120ml of water, which equals in six hours run time. The device will shut down automatically when the water runs out. One of the best features is the sound, or the lack of it. It is very quiet, making it great for a baby’s room. The downside is the unit is very basic and lacks more mist settings. The reservoir is small, and there are not a ton of settings to play around. But if you want compact device that can help you reap the benefits of essential oils, this is it. The best thing about the Urpower essential oil diffuser is the large capacity. 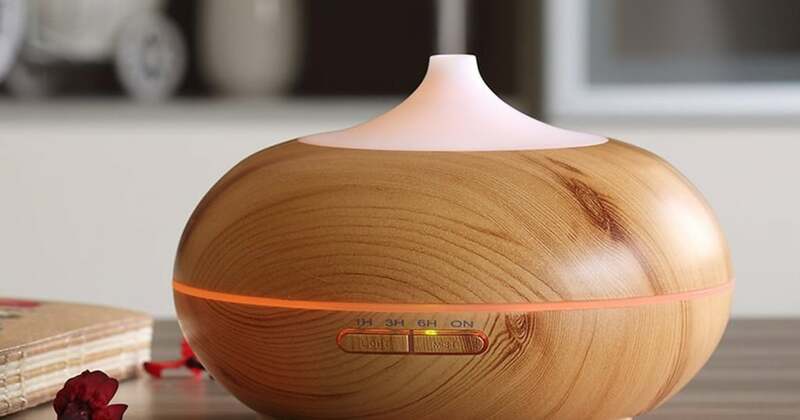 It can pack up to 400ml of water, and combined with the gorgeous natural wood grain finish, this is the device that will turn your home into a spa. The diffuser is easy to operate, extremely quiet, and because of the large capacity, it can run up to 12 hours. 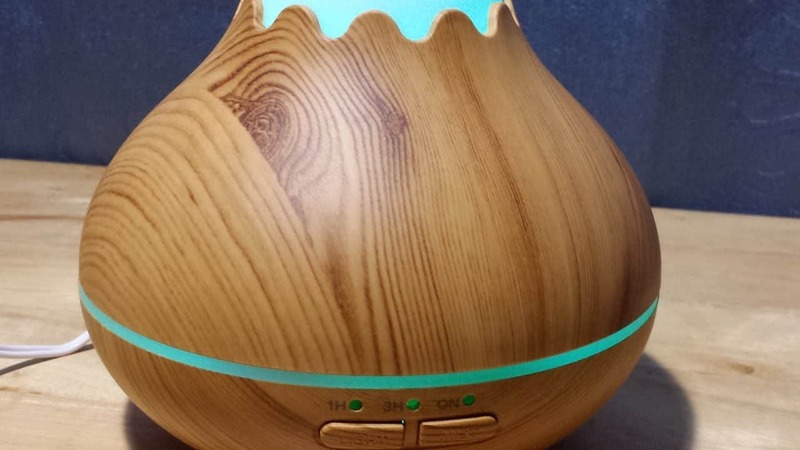 The best feature of the diffuser is it can run as both a humidifier and diffuser. When you work or sleep, just turn it on for some relaxing ambience, and you won’t even hear it. The device comes with 4 mist control and timer settings. It can run for one hour, three hours, six hours, or continuously. One of the negatives is that the diffuser requires constant maintenance to function properly. And if you do not close the lid right, it won’t work. If you look at the reviews and ratings, PureSpa Deluxe has one of the highest rankings among diffusers in terms of customer satisfaction. And at the end of the day, that is one of the deciding factors when you look for a best essential oils diffuser. The tank is just 120ml, and the diffuser can cover up to 250 square feet. But the runtime is set at 10 hours, and with its simple and sturdy design, PureSpa offers a classy look. The downside is that citrus oils are not recommended, limiting your versatility. Another downside is the on/off control which is a pressure sensitive decal on the front of the device. Sometimes, it does not respond when you press it. And because it responds to touch, it can turn the device on or off while you pick it up to move it or while it is plugged in. What to look for in a diffuse? Now that we have the five best options for an essential oil diffuser, let’s talk a bit more about what you need to look for in a diffuser. It is one thing to look at a product page on Amazon, but it is entirely different to hold it and use it. Look at the instruction manual, check how easy it is to set up the diffuser. Check the build quality. After you are done with the build quality and parts, go for the software. Check the settings and options available. You should look for more advanced features like auto-off, lighting, timers, and so on. Look at how intuitive the controls are. If you need to check the instruction manual every time you need to turn the diffuser, you are better off with a different option. Check the water capacity of the diffuser, as well as the estimated operating time. Next, you need to answer few questions for yourself. For starters, how are you going to use the diffuser? Will you use it to promote restful sleep? For that purpose, you need a diffuser that can easily last for 8 hours. Or you are going to use it during the day? In that case, you need a diffuser that can run on shorter settings or one that can be adjusted for the time you want/need. In addition to the purpose, you need to consider the room you are going to put the diffuser in. Diffusers can cover up to 800 square feet, and a minimum of 300 square feet. It all depends on the power and capacity of the diffuser. Last, but not least, look at the replacement and guarantee policy. Make sure you purchase a diffuser from a company that stands behind their product and will replace if something happen. On first glance, diffusing essential oils is a simple process. Diffusing is one of the most popular and effective ways to enjoy the benefits of essential oils. 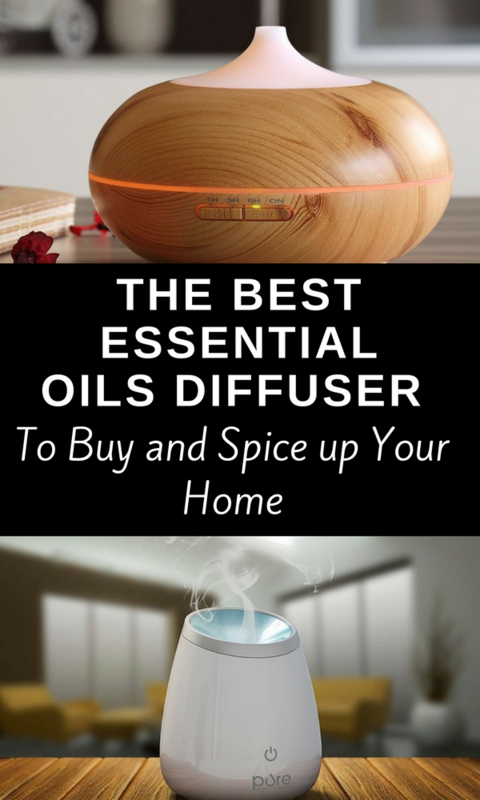 But if you are new to the process, you might be wondering how to use the best essential oils diffuser. The most popular option on the market nowadays is an ultrasonic diffuser. 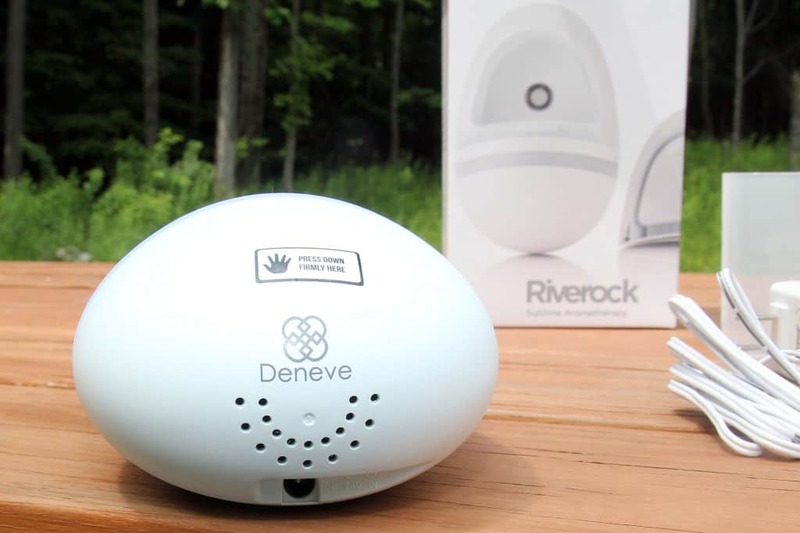 The device uses ultrasonic waves and water to disperse the essential oils into the air. First, and foremost, you need to choose an appropriate location. Choose an area with a solid surface or tabletop. It is good to have a place mat or towel down if you are using it on a wooden surface, as there is water in the diffuser. 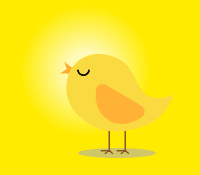 Avoid placing the device in direct sunlight or near a fan. Once you have chosen the location, fill the diffuser to the fill line of the water reservoir with clean tap water. The water needs to be at room temperature. Some diffusers have a measuring cup, or a fill line on the inside of the reservoir. Do not overfill the diffuser. Add just five to ten drops of essential oils. You can use one essential oil, or make a blend. In most cases, six drops is more than enough. However, if you like a stronger scent, go for more. After every use, clean your diffuser. Just unplug it, remove any excess water, clean inside with a small brush and warm water, and then rinse. 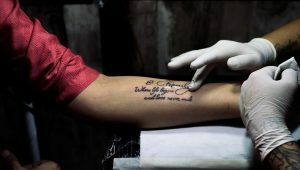 Let it dry ff. For the ultrasonic chip, use a cotton swab dibbed in dubbing alcohol to clean it. Now that we know which one is the best essential oils diffuser, let’s take a look at some of your options for diffusing. You can go for any of the single essential oils uses, or use a blend for a more potent solution. Let’s take a look at the single oils first. Because using just one essential oil is never enough, let’s take a look at several popular blends. There is a reason why this blend is so popular. It is one of the best to get you hooked up on essential oils uses and benefits. You can use it to increase alertness, or anytime you need a pick-me-up wake up call. I recommend using this blend for your hallway, as it is great to create a welcoming atmosphere in the home. Your guests will feel welcomed the moment they enter the home. Bright and fresh, the blend helps you raise the energy level. While most of the blends on this list are for increasing energy, some are more practical. For example, some of the benefits of essential oils is they bring beautiful smell to the home. This blend can help you eliminate natural odors, as well as smells courtesy of small incidences. 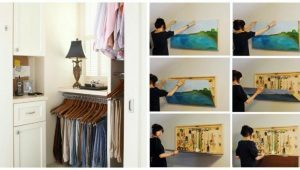 It will instantly freshen up your home. During the allergy season, you need a blend that will provide support and help your breathing. In other words, a blend that will improve your immune system and provide healthy immune response. During the spring and summer months, this blend is just perfect. Citrus blends are perfect for a refreshing scent. However, they offer much more benefits. When you have friends coming over, I recommend using this blend to make your home feel happy and clean. You can prepare this blend when you have a girlfriend coming over. It will make your home smell masculine and woodsy. A true man-cave if you like. I would not recommend using this blend for refreshing your home. This is simple a practical blend. The recipe contains oils that most bugs and insects dislike. Because of that, your home will be bugs-free. If you crave a cup of chai, you can always prepare a blend in your best essential oils diffuser. It will bring the same smell and feeling to your home. We all need a kick start in the morning sometimes. Some of us are morning person, some of us are not. But a good refresher in the morning is always welcomed. You will wake up easily and increase your mental alertness. Put this blend in the diffuser, and your home will feel like it is summer. It is great for refreshing and cleansing your space. The sunshine can come in different forms and shapes. While there is only one sun, you can bring some sunshine in your home with a citrusy blend. This is how autumn should smell like. Great for all the holidays like Thanksgiving, Halloween, and similar fall holidays. If you want to sleep tight, and wake up relaxed and energized, prepare this blend. Just make sure your diffuser will run through the entire night. Prepare this blend in the morning, and you will enjoy the energizing benefits of essential oils. Or you can prepare in the evening, and set up the alarm on your diffuser to turn on first thing in the morning. To get your head in the game, just diffuse this blend. 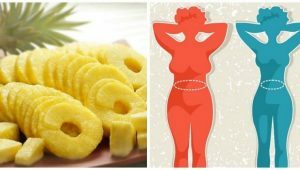 You will notice the results and benefits instantly. 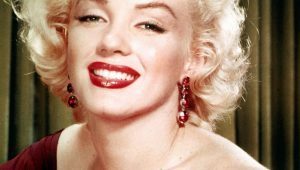 We all deserve to be happy. But sometimes, life catches up on us. In those moments, a blend that will promote dopamine production and boost your mood is more than welcomed. Use this blend also when you have people to entertain. Ginger is one of the best essential oils, providing so many health benefits. This is one of the best blends for the fall and winter seasons. But you can use it year round to calm you down. The Halloween season might be behind us, but this is a great blend nevertheless. Sweet and spicy, it is like candy for your nose. The scent of this blend will linger long after you turn off the diffuser. Perfect for when you want to get an instant refreshing scent, and then turn off the diffuser for saving electricity. Pumpkin is the synonym for the autumn season. The blend of warm spices is great for coming back home and relaxing. Just snuggle with someone you love in front of a crackling fire, and enjoy the warm and pleasant scent. This is a very informative post. Thanks for sharing great information. I’ve got an essential oils candle dish sitting around here I bought a few months ago and never yet used. Now maybe I’ll start with your cool blends. Thanks!